since she hit the 5-month mark, so she was definitely due for some pics. Please excuse my wild hair and lack of makeup because I seriously just changed out of my pjs. 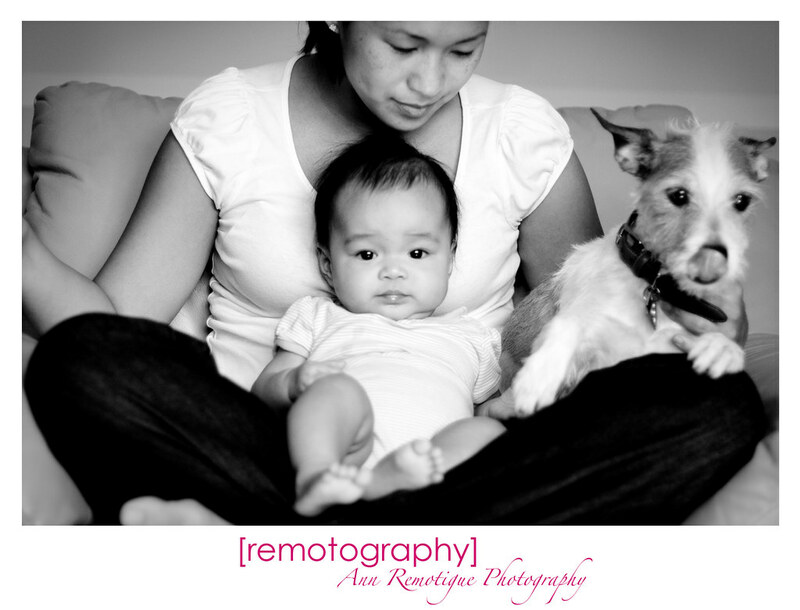 I had to work fast to set up the tripod and wireless remote before the baby fell back asleep for her nap. Where are you going doggie? I think he's a little camera shy.